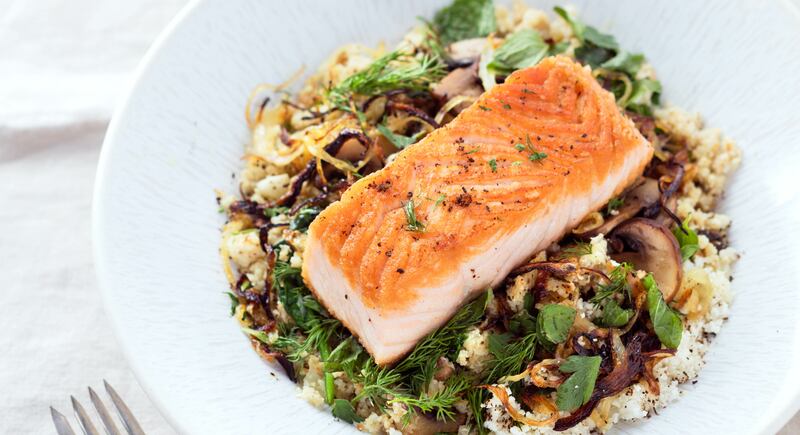 Few things are more delicious and refreshing than a hearty dish of salmon. Not only does it taste amazing when grilled, added to a fresh salad, or mixed in with a noodle or grain, it’s incredibly healthy, too. 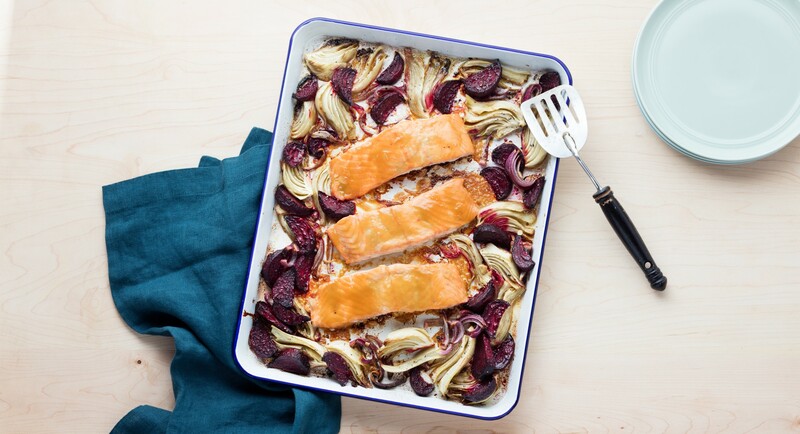 This light fish is high in omega-3 fatty acids that help with lowering triglyceride levels. It also has energizing vitamin B12 and protein that lowers blood pressure and support cells in the human body. Since salmon is both low in fat and mercury, the health benefits of this flaky fish makes it a no-brainer to incorporate into regular lunches and dinners (even brunch—try a smoked salmon benedict and you’ll never go back). Although salmon is always an excellent meal choice, some special care needs to be taken when purchasing, storing, and preparing a fillet. Seafood in general is subject to carrying foodborne illnesses, which, even after thoroughly cooking, can be spread through cross-contamination. 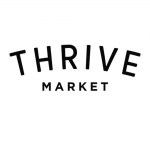 Luckily, with the proper precautions your fish will be perfectly safe to eat and ready to prepare in a few delicious ways—keep reading to find some of Thrive Market’s favorite recipes. 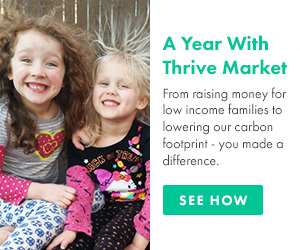 Go to a store or supplier that you trust. And don’t be afraid to ask questions about the sourcing and transportation of their selection. It should never be a mystery how your fish was shipped or how long it’s been out. Fresh markets are where you’ll find fish that has been most recently caught, but you can also find frozen salmon in most grocery stores. Always purchase fillets that are refrigerated or displayed on ice. Make sure the ice is fresh and not melting. Another good sign is if the store covers the fish in some way, like with a refrigerated case. Choose fish that doesn’t actually smell like fish. Although it seems counterintuitive, fresh seafood should not be traceable through its smell. Rather fresh salmon should smell mild, like the sea. Anything that is particularly sour or ammonia-like is no good. Check the eyes of the fish. They should appear clear and bulge just a little rather than come off as cloudy and protruding. The flesh should also appear firm and shiny, but not milky or slimy. If you touch the flesh, it should spring back, too. Look for a time and temperature indicator on the packaging. This will tell how long the fish has been stored and at what temperature and indicate if it’s safe to eat or not. But what about frozen salmon—should you avoid it altogether and only go for the freshest choice? Actually, not at all. In terms of seafood, “fresh” simply means that it’s never been frozen. However, frozen fish is done so at the peak freshness, and so when the product is properly thawed, it’s quite comparable in both nutrition and taste. If you’d prefer to choose frozen seafood, there are a few additional guidelines to consider. Look closely at the wording on the bag to ensure that the salmon hasn’t been thawed at some point in the process. Avoid open, torn, or crushed packaging, which suggests that the food was not handled well in transit. Note the frost line in the freezer case and only choose salmon that has been positioned below this point. Any signs of freezer burn or ice crystals may mean the fish has been stored for a long time (and possibly thawed and then refrozen). One of the biggest areas of concern when cooking any type of seafood is keeping it from getting too close to room temperature (and thus ripe for growing bacteria) as well as the risk for contaminating other parts of your meal. For example, if you use the same cutting board for both salmon and a tomato, the tomato may then be subject to growing bacteria, too. The best way to handle the process is to simply wash everything, especially your hands, before and after handling ingredients. Wash your hands thoroughly with soap and warm water for at least 20 seconds before working with the fish, and wash again anytime you need to touch other foods or use utensils. Each time after using, also make sure you sanitize everything—utensils, plates, countertops, and cutting boards. It might actually be helpful to designate a particular cutting board strictly for the salmon. Before whipping up a delicious meal, you’ll first want to remove the pinbones. These are flexible, thin bones that run down the center of a filet, and removing them is an easy task. Simply grab a pair of clean pliers and pull the bones out individually on the inner side of the fish. This is a completely optional step, but in general, it makes the fisher easier to eat once cooked. When it comes time to cook the salmon fillet, there are three main options: the stovetop, oven, or the grill. It’s important to know what to look for once the fish is done cooking, particularly what color the salmon is to ensure it’s cooked all the way through and free of any bacteria. Using a knife, make a small incision into the thickest part of the fillet and peek inside: Rare temp salmon will look still quite fresh and be almost the same color as it was raw; medium temp will display a pale pink hue; and well-done will be a more muted peach color with browned portions on the side where the skin or scales are. If, by chance, you notice a fishy or ammonia-like smell during any part in the cooking process, it means you likely have a bad piece of seafood—stop cooking and throw it out, and then be sure to sanitize everything. For the easiest way to cook salmon, the stovetop is the way to go. Sautéing the fish over high heat can provide a meal in just about ten minutes. All you need to do is warm up a frying pan, add one tablespoon of butter, and then cook the salmon for six minutes on one side before flipping and cooking an additional two to four minutes on the other side. This recipe is one example of the magic that can happen by cooking salmon on the stovetop. 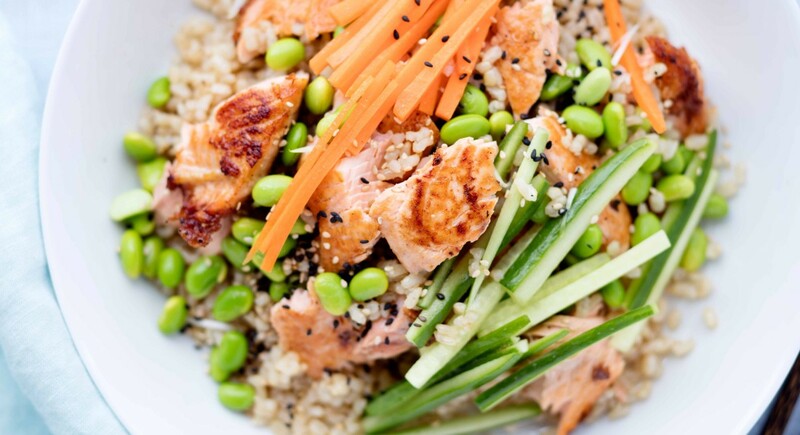 The Japanese-inspired dish starts with brown rice as a base and then tops it with cooked fish, some shelled edamame, grated ginger, rice vinegar dressing, and a drizzle of umami-tasting coconut aminos for more authentic flavor. Add in carrots, cucumber, scallions, and any of your other veggie favorites to customize the mixture, which makes a great lunch or dinner. In the same way that roasted veggies come out of the oven looking savory and delicious, roasting salmon results in a succulent fish that doesn’t need constant monitoring. Recipes vary, but generally you’ll want to preheat the oven to 400-425 degrees Fahrenheit for optimal cooking temperature. Butter both sides of the fillet (and the baking pan so it doesn’t stick). As the fish cooks, spoon some of the melted butter on top for an even richer taste—or try a dash of lemon juice and some herbs for a more citrusy taste. For a slightly crispy fish, you can also sear the filet on the stovetop for a few minutes first or lightly dust the skin/scale side with flour before placing into the oven. Here’s a truly healthy meal that is anything but boring. Begin the bowl with cauliflower rice instead of the traditional grain to make this meal Paleo-friendly and low-carb. To flavor the base, add in onion, mushrooms, garlic, and spices like cumin, allspice, and cinnamon for Middle Eastern flair. Then top with some spinach and roasted salmon (cooked with just olive oil and Himalayan salt). It all comes together in less than 30 minutes! It doesn’t have to be summer for a barbecue. Fire up the grill, and lay on some salmon for an incredible earthy, smoky, and deep flavor. First, heat up the coals (or use a gas grill), and then brush the fish with a little bit of olive oil and the seasoning of your choice—salt and pepper alone will do just fine. Start with the skin/scale side face down on the grate and cook for five to six minutes and then flip. (If you find that the salmon is sticking to the grate, it’s because the fish is not quite ready and should be left for a few more minutes). Once on the opposite side, cook for another three to ten minutes, depending on how well-done you’d like it to be. 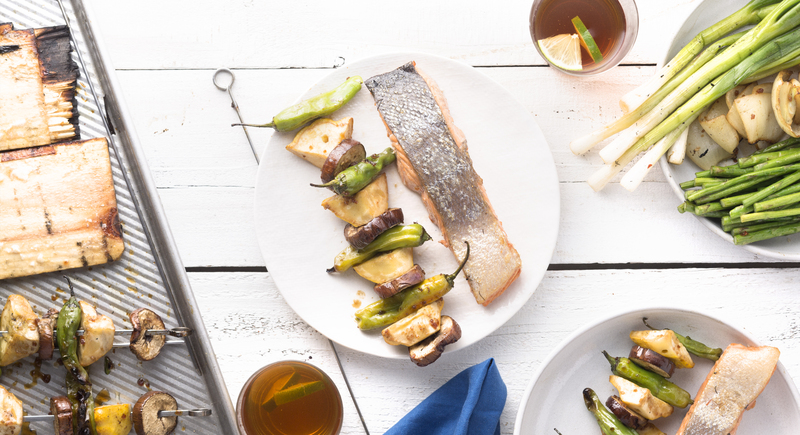 Cedar planks give more of a smoky flavor to fish, and are a great accompaniment to this easy recipe. A light marinade made of various citrus fruits, mirin, coconut vinegar, coconut aminos, honey, ginger, and red pepper flakes makes it even more flavorful. While grilling the fish, also add some vegetable skewers made of eggplant, squash, and Shishito peppers to finish off the healthy meal. 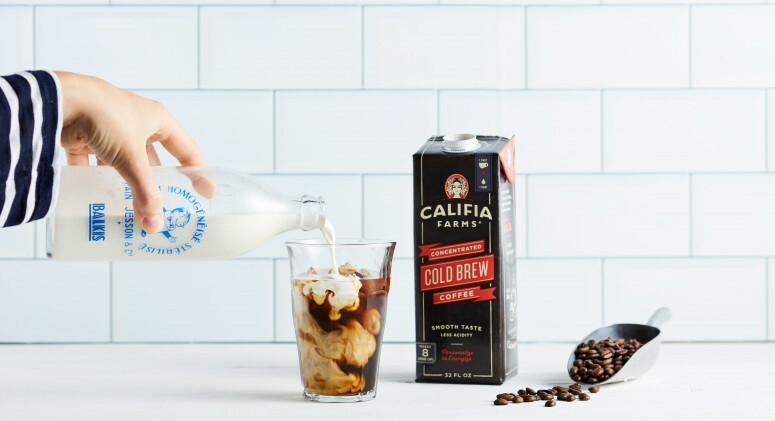 Cold Brew vs. Iced Coffee: What’s the Difference?